THE BEST WAY FOR HERBS AND FLOWERS DRYING,TAKE GOOD CARE WITH OUR PLANTS. Made of breathable mesh material there's no need to worry about rotting or fungus. when you're done using them, simply collapse them and store them in the included black carrying case. Be very careful when unwrapping the small form!!! It is a natural way to dry plants,herbs,buds,flowers,sage,thyme,rosemary,vietnamese coriander,lavender. Made of breathable mesh material,there's no need to worry about rotting or fungus. Top of the material is waterproof fabric, Come with one carry bag. 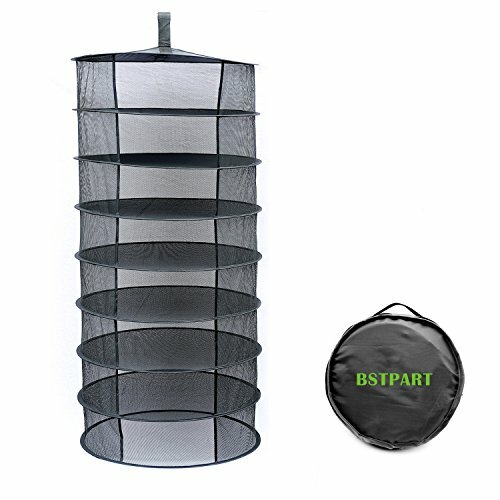 If you have any questions about this product by BSTPART, contact us by completing and submitting the form below. If you are looking for a specif part number, please include it with your message.